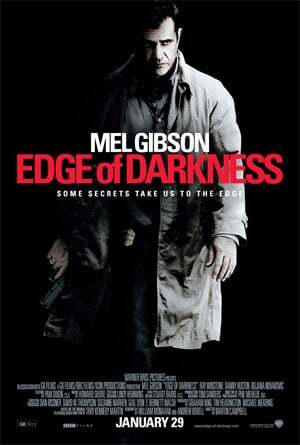 This morning we brought you the trailer, now we have the first poster for Mel Gibson’s upcoming revenge-driven thriller Edge of Darkness. 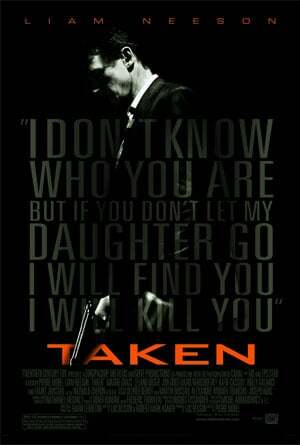 And as I did with the trailer, I find myself once again thinking of Taken. Remember the Taken poster? The similarities are remarkable. Lead actor in black and white, holding a gun in front of an all black background. Two posters, same idea. Two movies, same idea. Thomas Craven (Mel Gibson) is a veteran homicide detective for the Boston Police Department and a single father. When his only child, twenty-four year-old Emma (Bojana Novakovic), is murdered on the steps of his home, everyone assumes that he was the target. But he soon suspects otherwise, and embarks on a mission to find out about his daughter’s secret life and her killing. His investigation leads him into a dangerous, looking glass world of corporate cover-ups, government collusion and murder – and to shadowy government operative Darius Jedburgh (Ray Winstone), who has been sent in to clean up the evidence. Craven’s solitary search for answers about his daughter’s death transforms into an odyssey of emotional discovery and redemption.